At The Villas at Stonehaven, our values and dedication to personalized service are embodied by our executive team and hotel staff. In addition to excellent benefits, salaries and a supportive and welcoming work environment, a job at our resort in Tobago offers abundant opportunity for advancement. 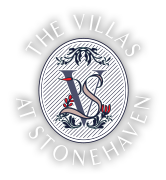 If you are interested in a career at The Villas at Stonehaven, we invite you to contact us to learn more about currently open jobs. Thank you for appying! Someone will be in touch.